Why marrying your muse is not a good idea! An excellent free paper by Jungian Analyst Matthew Harwood explaining in clear and simple terms the Jungian concepts of Anima and Animus – the feminine element in a man and the masculine in a woman. Harwood begins by considering the difference between infatuation and love and asks why it is that so many men become infatuated with unsuitable women and end up in disastrous relationships. He concludes that what is happening is that a man is falling in love with his own soul, projected onto a woman. This may be used to good purpose. Carl Jung: “Whenever the anima becomes activated in the form of a projection what she is aiming to do is to force the man to become more complete and more whole, in other words, to ‘individuate’”. This paper is concerned with the inner development of men and women by the encounter with the contrasexual within, whether through our dreams, art or our projections onto others in the external world. 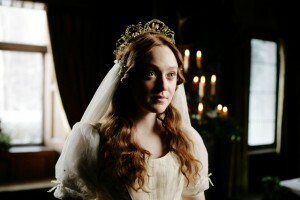 Harwood uses the relationship between Effie Gray and John Ruskin as depicted in the film “Effie Gray” (2014) to illustrate his points, but his paper also takes us via Dante, alchemy and fairy tales.